How does multi-level marketing works? How can you differentiate MLM from a pyramid scheme? What are the legal sides to include in the check-list? A tale about multi-level marketing business! Multi-level marketing resonates with proper alignment in business by means of recruiting new members or individuals. One can define MLM as an organization or a person or a group makes individual contracts for product distribution and earn commissions, bonuses or likewise compensations. Brand growth is the ultimate motto of such recruitment with individual benefits. 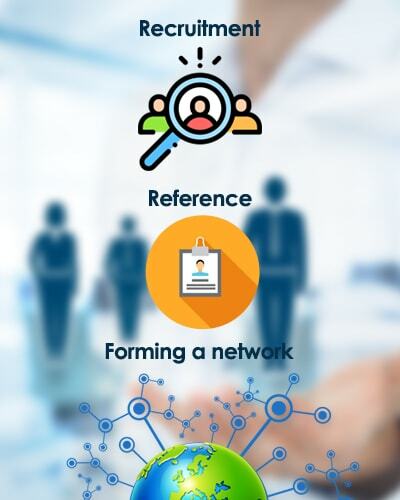 Commissions are received for adding up new members and say, if you came to know about a business and joined the network then, the one who recruited you is known as “sponsor”. Then, with your efforts you have added up a member and s/he comes underneath your position and they are called “downline members” and the members above you are called “upline members”. Now, the legal part! Usually, Multi-level marketing follows a two-way step and we call it “duo-legality identification process”. By satisfying this process, a business can be labeled as “multi-level marketing” or else “a pyramid scheme”. What exactly is a pyramid scheme and how is different from an MLM scheme? 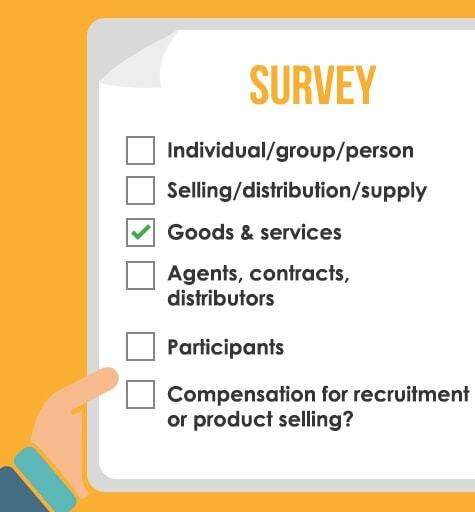 Let’s say, a business focusing more on individual recruitment rather than sales oriented then, its Pyramid scheme and if the focus is more on selling part as well as for the selling, i.e., balancing both part of business together then, it is likely to fall under the MLM scheme. MLM – Prefer product selling as well as member recruitment to become a unique brand. Well, as the name suggests (a term provided for better understanding and it is provided for the best catch) the process usually proceeded with two steps. The working modules of the compensation scheme or call it the theoretical part. The focus point of the business – Is it on member expansion or product selling with fake offers. The first part explains the complete system of the business model, this includes complete infrastructure. From the marketing plan, say for example “Binary plan” and how the compensation is provided for members etc. The second part actually decided the legal formation of business in terms of Federal Administrative and Judicial Decisions. For an MLM program to become legal, the second part must clear off with proper structure. And it’s difficult to get approved and flagship later with this part. Like a survey point, we have prepared you a short-list to ensure the process is accurate and precise. People who choose this career often keep a high-profile to stand out among the other distributors of representing organizations. Network marketers prefer to exist in the system more likely as a part-time during the initial period and later on, as the time progresses a full-time presence is employed up. There is no working period in this type of business. Some technically follow a 5-hour routine or 8 or even less depends on their plan. With social skills and talent, legal business grows to its higher levels with ease. MLM is the key for such instances, and there is no substitution for hard work. The legal guidance provided above will help you to understand how one can establish a new MLM company. Apart from this, there are several kinds of stuff to take care of. This part of business always tends to witness a battle with a lawsuit, and because of this reason, there is always a concern arises in the organization. Before getting into the business, you may check out the top 100 mlm companies around the world. So, there you go, it’s time to begin your own multi-level marketing business with legal notes, following every bit of procedures.